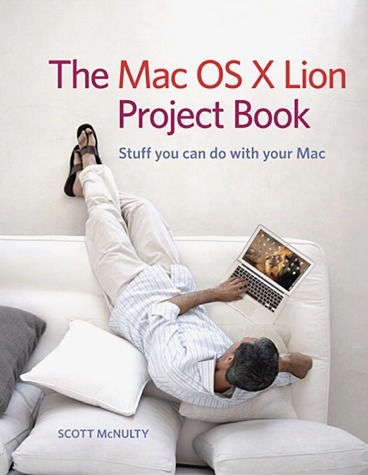 The Mac OS X Lion Project Book, despite it's title, isn't as much a book about Lion, as a book about how to use a Mac with Lion to do certain neat projects. Most Mac users can figure out email and surfing the web, but what about taking your DVD collection and putting in on your Mac. Each of these projects are short--just four of five pages. The book is easy to understand and the projects are fun and relevant. They assume a basic to intermediate knowledge of Lion. No explations of files or how to click a mouse is included. This is direct an to the point weekend projects. Since I knew how to do all of this or the things I didn't know didn't interest me, I didn't find the book that valuable. I learned this stuff the hard way through trial and error. However if someone asked me how to do any of these small projects, you bet I'll suggest this book. New Mac users that simly want to feel more comfortable with their Mac and need some ideas of projects on how to achieve that comfort this book would be ideal. If I did Macintosh tutoring this would be a great companion manual. Overall, a fun book for intermediate Mac users with relevant and interesting projects. Cons: Limited scope if you already know how to do these things or if they don't interest you.